We are a Community Parent run, Arts Based Preschool that has been at Longfield Hall since 1993. We are growing food in our vegetable patch. So far the children have grown squash, colrabi, cabbage, rocket, beetroot, potatoes, tomatoes, spinach, parsley, runner beans,raspberries, strawberries, physalis, spring onions. We get the seedlings from Myatt’s Field Park, also some flowers, we have just planted our winter veg and some spring bulbs. 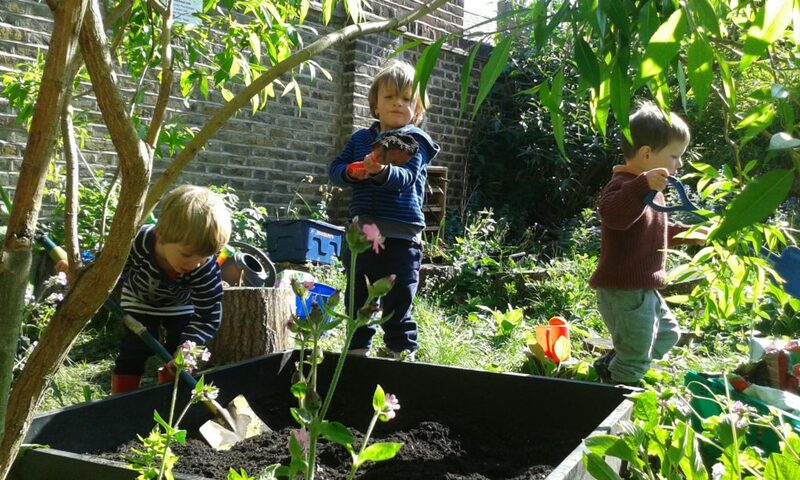 We run a one session a week forest school, and are teaching the children about plants etc, and we often visit the nature park at Myatt’s Field and check out the greenhouse.